Everything about currency trading can be learned with the right FOREX trading education and here we are going to give you a great example of what can be achieved. You don't need to work hard or have a degree to win at FOREX trading you just need to learn the RIGHT knowledge and you can do this quickly. To show why how anyone can learn to trade currencies successfully lets take a look at one of the most famous experiments in finance which proved anyone could learn to trade and make profits trading. 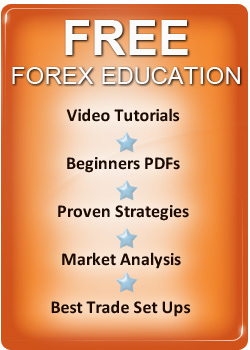 Let's look at this essential FOREX education in more detail. In 1984, Richard Dennis taught a Trend Following trading methodology to the group of students above, to prove anyone, no matter what their profession, could be taught the skills required to trade successfully. Dennis was settling a debate with his friend and business partner William Eckhardt. Dennis believed anyone could learn to trade and Eckhardt disagreed - the "turtle" experiment was conducted to settle the debate. In just two weeks a group of 14 people from different walks of life, varying levels of educational ability were taught to trade financial markets, and these traders were nicknamed the "turtles" and became world famous. The group included a complete cross section of people and the group included - An actor, a security guard, two professional card players, an auditor, a young man who had just left high school and an exchange clerk and they went on to make huge returns when they were given trading live trading accounts and remember the trader training lasted just two weeks. Live accounts were given to them and the gains Dennis students made, amounted to hundreds of millions in profits. People with no experience learned a trading system and went on to make hundred of millions dollars and many still trade over 25 years after the experiment was conducted and many "turtles" are still trading and making money. The experiment with the "turtles" showed that anyone could indeed be taught to trade - all they had to do was learn, and follow a set of rules. Trading actually looks quite simple but the reason most traders fail is not they can't learn a trading system which can win - it's because - they cannot get the right mindset to succeed. learning a method is straightforward but getting the right mindset is the key to trading success. The turtle trading experiment taught the traders on the program the RIGHT MINDSET to trade successfully. Dennis realized that most traders can't trade with discipline, their emotions get involved and end up losing. Quite simply, without the discipline to follow your method, you don't have a method at all, and are doomed to failure - money management breaks down and losses inevitably follow. Dennis taught them to have confidence in the system they were trading, and follow it rigidly to achieve success. It sounds simple enough but very few traders adopt the mindset they need to succeed. They want to feel comfortable about what there doing but Dennis made a key point and taught the group that if it felt comfortable then don't do it because its probably the wrong thing to do. Trading is not fun and the best trades will make you uncomfortable but that's a small price to pay to make money in my view. Most people are followers and want to be with the crowd but if you are with the crowd in FOREX - you will lose with the majority. If you understand the above, you will see you can succeed while others fail so if you are prepared to adopt the right mindset then you can make a plan for success - but how do you get a disciplined mindset? Below is a simple trading plan which if you follow it can help you achieve trading success with your trading strategy. Here are 10 key points to follow and if you do follow them you will get the right FOREX education and get the right mindset as well and soon be executing your trading signals with confidence and discipline. 1. Get the Turtle rules (they are free online) and read them and you will see why they work and why they are so hard for traders to follow. You don't have to use the trading rules but will see, what goes into making a good trading system. 2. Learn a simple trading system and you can do this, using technical analysis and you will find plenty of info on this site for free and on other sites online; learning to use charts is easy and you can put together a simple system within a few weeks. 3. Construct the strategy so that you understand why it works, know its strengths and also know its weaknesses and make sure you comfortable with it - you are going to have to see it a guide or friend and trust it to lead you to success and stay with it and follow it. To know and understand your strategy is a key to success so you can follow it, when it's trading signals lose. If you know and understand the strategy, you not be tempted to deviate from the system rules during periods of losses. 4. Go and get some classic investment books and you will find 10 of the best books on this site. The books will give you an insight into how, the best currency traders make money and you can too. This currency trading education will cost you a hundred dollars or so but can help you, achieve financial success far in excess of the cost. 5. Write a check list to follow in terms of - the criteria needed to generate trading signals and check it off, before each trading signal is entered in the market. If you have to consult a check list, you are more likely to enter trading signals with discipline. 6. Learn to isolate yourself and in terms of seeking trading success don't go and seek advice from others. Trading is a lonely profession and you only have one friend which is your trading strategy. By staying away from others, you will not be distracted from your trading plan and can trade with confidence with no distractions and make long term profits while other traders lose. Learning currency trading by studying the Turtles experiment will give you an insight into what is needed to achieve currency trading success and if you follow the 6 point plan above which even beginners can follow and learn quickly and easily, will have you trading a currency trading system which can make money in global FOREX markets in just a few weeks. You will find more info on how to construct a FOREX Trading Plan on this site and also make sure you look up the Best Investment Books which we mentioned above. Always remember anyone has the potential to make money trading global currency markets but most fail but you can win if you want to by following your plan - it really is that simple.